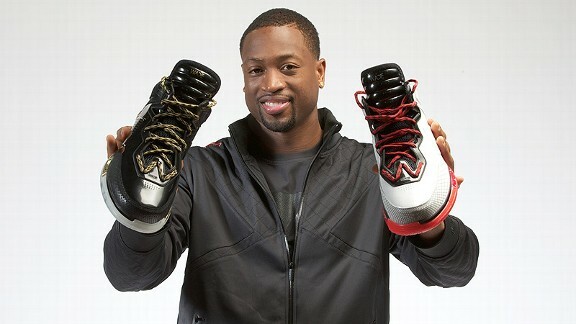 Miami Heat star Dwyane Wade has signed with the Chinese shoe company Li Ning. *When Dwyane Wade announced that he kicked the Jordan Brand b-ball shoes to the curb, the world wondered what that was all about. After all, we’re talking Nike’s Jordan Brand. Yes, the Jordan Brand … as in MICHAEL JORDAN, the living God of basketball! Wade, the wily wascal, was scheming all along. Yes, he had a master plan: to make a deal with Chinese shoe manufacturer Li-Ning, reports the AP. Wade, a two-time NBA champion is signing with Chinese sportswear provider Li-Ning, which is giving the Miami Heat guard his own brand within the company along with plenty of creative and strategic input. The partnership will be announced Wednesday in Beijing, where Li-Ning is headquartered and where the Heat are visiting for the NBA China Games tour. Wade told The Associated Press that he expects the Li-Ning deal to continue through at least the remainder of his playing career. Wade wore Converse for his first six seasons, then Jordan Brand for the past three years. Wade’s debut in Li-Ning sneakers is expected Thursday, when the Heat play a preseason game in Beijing against the Los Angeles Clippers. He’s also hoping to play when the Heat and Clippers meet again in Shanghai on Sunday, and Li-Ning plans to auction off the sneakers from those first two games.